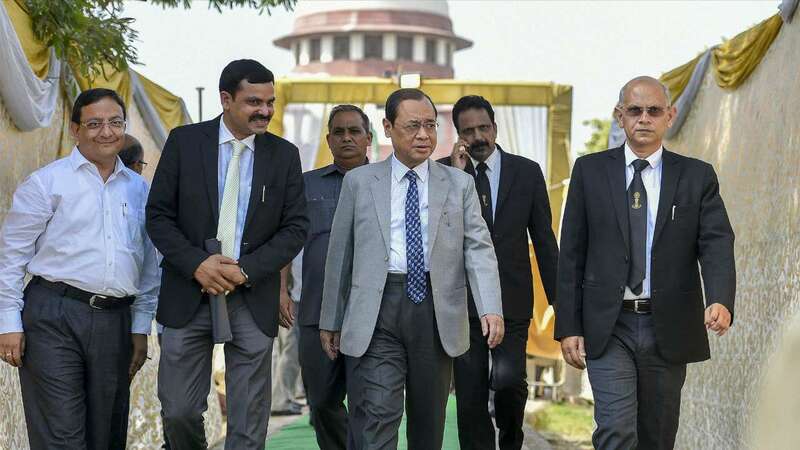 The Chief Justice of India Ranjan Gogoi has no house, no vehicle and no jewellery in his name while his predecessor Dipak Misra who retired from his post on October 1 owns a flat and some jewellery while his successor, according to assets declared by the two justices. Justice Ranjan Gogoi was sworn in as the 46th Chief Justice of India by President Ram Nath Kovind on Wednesday. Justice Gogoi, who was appointed as a Judge of the Supreme Court of India on April 23, 2012, owns no gold jewellery and the ones that his wife has were gifted to her by her parents and relatives at the time of their wedding, the assets declarationsfiled by him reveal. The son of former Assam Chief Minister Keshab Chandra Gogoi, the CJI also does not own a personal vehicle. Unlike former CJI Misra, who is repaying a loan of Rs 22.5 lakh that he had taken from a bank to buy a flat, the newly-appointed CJI does not have any outstanding debts or personal liabilities. The assets were declared in 2012 and have been updated to include additional information. According to assets declaration by Justice Gogoi available on Supreme Court website, he has Rs 6.5 lakh savings in two bank accounts and also a fixed deposit of Rs 16 lakh. He also has an LIC policy of Rs 5 lakh which was taken in 1999. While Justice Gogoi has no jewellery, his wife own 150 grams of gold since marriage. Justice Misra, who retired on October 1 after serving as the CJI for more than a year, owns two gold rings and a gold chain but no vehicle. His wife owns 600 gms gold jewellery and 3 kg silver. Besides his flat in Delhi’s Mayur Vihar, which is mortgaged against a Rs 22.5 lakh loan, Justice Misra also owns a house in Cuttack in Odisha. Misra and his wife have two fixed deposits worth Rs 13,79,844; and two LIC policies worth Rs 4 lakh. Was Virgil Abloh’s Off-White Spring 2019 Collection Inspired by Serena Williams?